At Nunney First School, science teaching and learning is incorporated into our project based approach to learning and we find that this better enables teachers to capitalise on children’s latent interest and enthusiasm for the world around them. Our teaching of science is practical and hands-on. It is designed to enable children to use their science knowledge, skills and understanding to influence their daily lives: for example, managing their health and understanding issues such as climate change. Children’s curiosity is encouraged and valued; they are excited and enthusiastic when anticipating their science lessons. 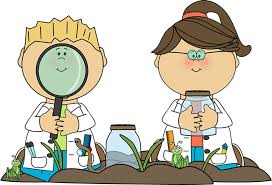 Science is practical and hands on and children enjoy learning through exploration and questioning; they have the opportunity to use good quality resources. Progression of science skills is evident and taught throughout. Children confidently use accurate scientific vocabulary in context. Teachers use different assessment strategies during science lessons. All pupils are actively engaged in a science enquiry using a variety of enquiry strategies, independently making decisions and answering their own questions.